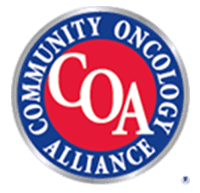 Regional Cancer Care Associates (RCCA), New Jersey’s largest oncology physician network and one of the largest in the nation, is pleased to announce that three practices have joined its growing network, which now includes 92 cancer care specialists at 25 care delivery sites. “Increasing the breadth and depth of our services will help us continue providing RCCA patients across New Jersey with the highest-quality cancer care while controlling the cost of that care, said Andrew Pecora, M.D., F.A.C.P., C.P.E., President of Regional Cancer Care Associates. “This expansion increases the RCCA network by more than 20 percent. RCCA is adding 16 oncologists in five locations: Somerville, South Plainfield, Little Silver, Pompton Plains, and Westwood. The three physician practices were formerly known as Somerset Hematology Oncology Associates, Hematology Oncology of Central NJ, and Hematology Associates of NJ. RCCA physicians currently provide care to more than 230,000 patients in New Jersey. “We are thrilled to add these three practices to our network,? said Edward J. Licitra, M.D., Ph.D., Board Chairman of Regional Cancer Care Associates. 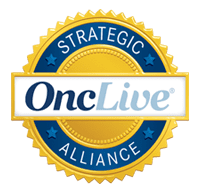 “These physicians have a longstanding reputation of providing superior cancer care in their community and will be of great benefit to the RCCA network and our patients. Regional Cancer Care Associates is the largest oncology physician network in New Jersey. RC2A was created to maintain access to high quality cancer care and clinical trials while controlling cost. 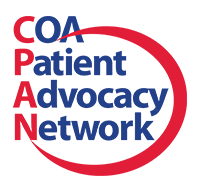 Physicians in our integrated, value-based cancer care network accept their responsibility to work with insurance companies, hospitals and referring physicians to provide patients continued access to the highest quality, cutting edge therapies while reducing the cost of cancer care. Regional Cancer Care Associates extends across New Jersey with more than 70 cancer care specialists and is supported by 500 employees at 20 care delivery sites, providing care to more than 17,000 new patients annually and over 70,000 existing patients. For more information, visit. www.RC2Acancercare.com.